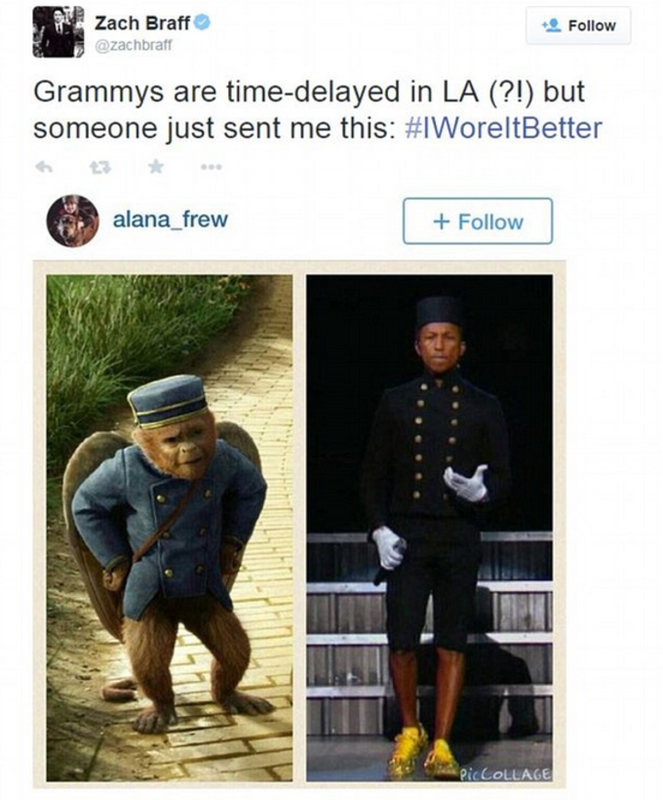 During the Grammys Zach Braff hopped on the same joke as everyone else on Twitter, comparing Pharrell&apos;s outfit to a bellhop. The difference is that he referenced his character from Oz the Great and Powerful instead of The Grand Budapest Hotel. Said character happened to be a monkey, and people were quick to scream "racism." But no, Braff&apos;s tweet wasn&apos;t racist. 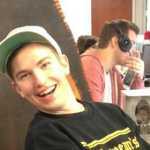 Was it ill-conceived? Of course. Any comparison of a black person to a monkey is going to instantly provoke reminders of racism. But Braff&apos;s heart wasn&apos;t in the wrong place even though his head was taking some time off. It&apos;s reasonable for the monkey from Oz to pop into his mind (or newsfeed) because of its close association. 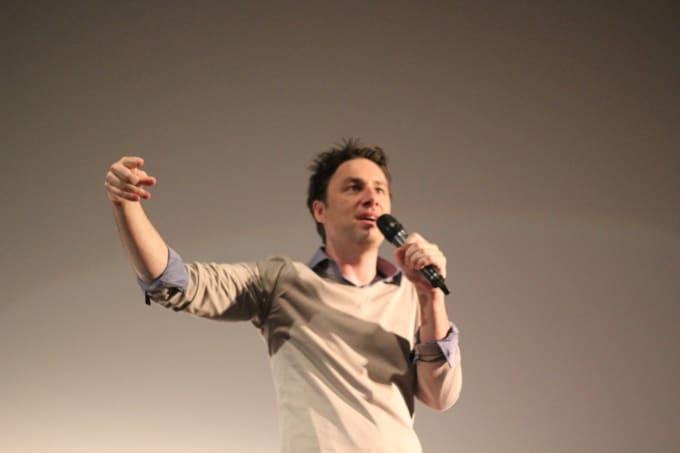 Even so, Braff apologized for his mistake. We should be able to move on from this quickly.